Love, Mrs. Mommy: MaxiView Blind Spot Mirrors Giveaway! 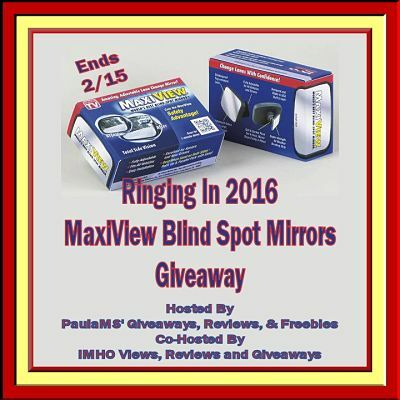 MaxiView Blind Spot Mirrors Giveaway! We drive an older model S10 Pickup truck with a camper top on it and have had several close calls due to vehicles riding in our blind spot. The only thing that has prevented us from being the cause of a serious accident was the quick action of the other driver and luck. I was so thrilled to install both of these small mirrors on our truck that I even ordered a new glass to replace the cracked one to affix one of them on. After installing both of the mirrors, I sat in the drivers seat and was impressed with my ability to see the tree and my boyfriend standing beside the truck. I wasn't able to see either one before applying the blind spot mirrors. 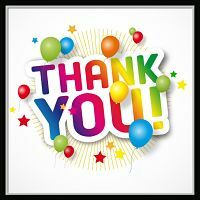 I would like to give a big shout out to all the blogs participating in this giveaway! I couldn't do it without you.